Having a good knife sharpener can guarantee that you don't need to stress about a blunt knife when you need to cut vegetables. 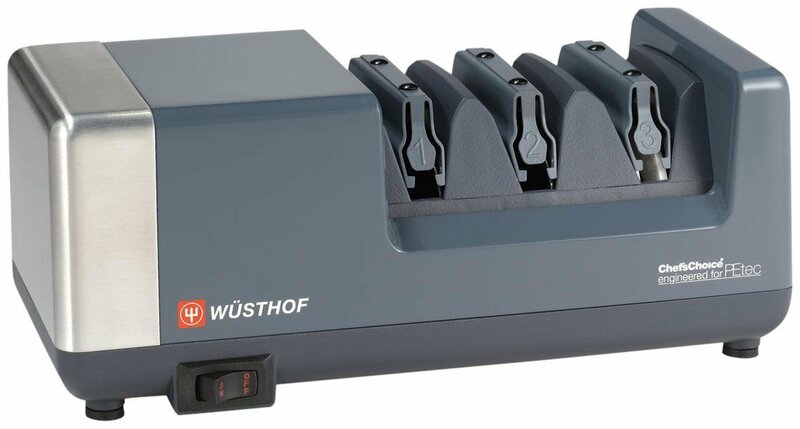 In this guide, I tell you everything you need to know about choosing an electric knife sharpener and review the 5 best models to aid your search. Choosing the best electric knife sharpener for your needs comes down to how much you are willing to spend and what features you want. 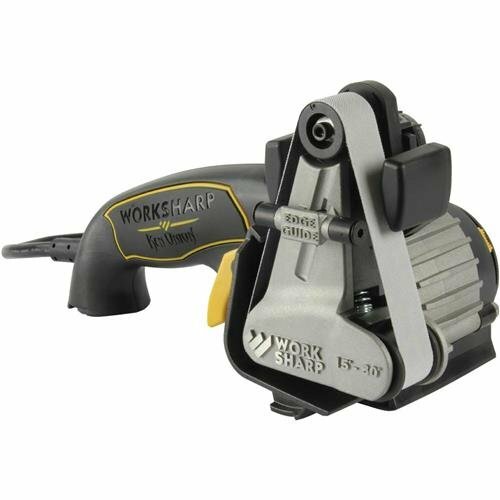 There are a few features that every sharpener should have and that you should consider. Such include sharpening angle, sharpening materials as well as stages. There are number of variables that go into designing a knife, with the most important ones being steel strength and angle. The sharpness of a knife is usually defined by the bevel angle. That said, it is important that you buy a knife sharpener that allows you to set a sharpening angle that matches your knives. This feature doesn't get a lot of marketing hype, but is an important consideration when shopping for an electric knife sharpener. Only reputable brands can guarantee great performance with a variety of features. Some of the most reliable brands in this industry include Chef's Choice, AnySharp, Judge as well as Andrew James. 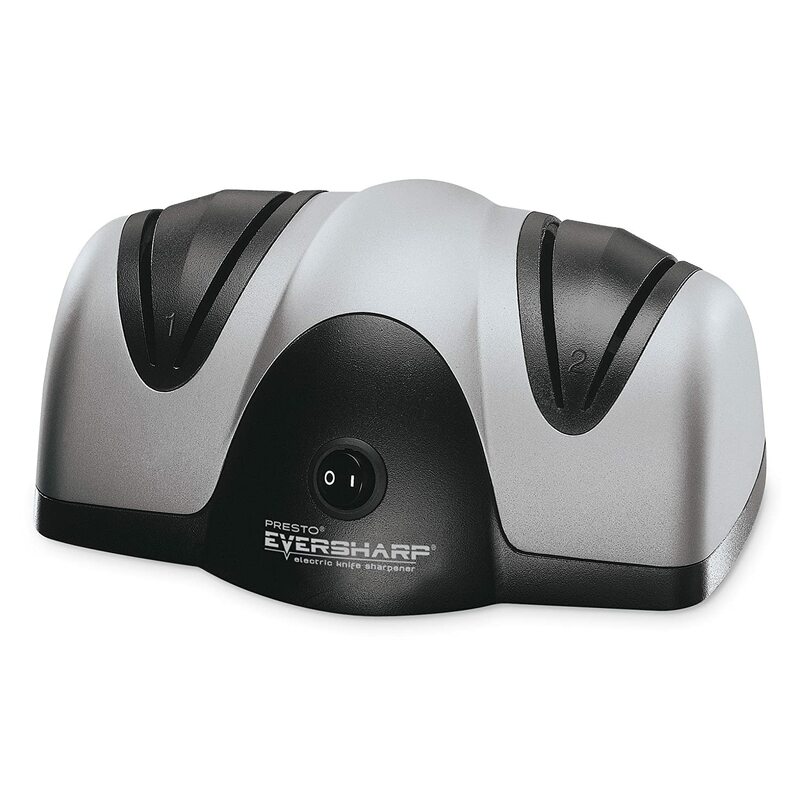 They offer a variety of electric knife sharpener s that are sure to satisfy all of your sharpening needs. 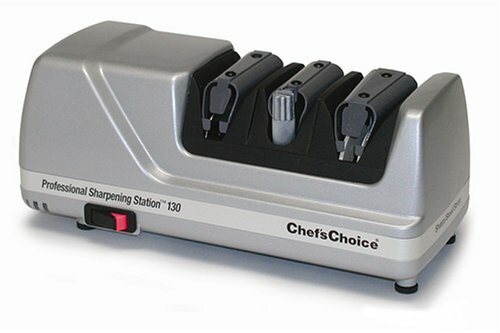 For instance, Chef's Choice produces knife sharpeners with advanced features like 2-step sharpening and diamond plate. Andrew James sharpeners often have 2-stage adjustment and honing feature. The basics of knife sharpening will always be the same regardless of what sharpener you use. The first stage involves grinding down any damages or imperfections to create a consistent surface onto which a smooth surface can be applied. This is known as a repair stage and it's important that your sharpener has this stage. In stage two, a less coarse stone raises the burr until it eventually becomes the cutting edge. You can always skip the repair stage when doing simple maintenance. The third stage is the final one and is known as honing. It involves polishing out the burr to create a keen edge on the knife. Ensure that your knife offers at least two of these stages. There is a considerable variety of choices when it comes to materials used in sharpening blades. Many sharpeners utilize stones but there are composite materials specially designed for this task. Man-made stones are made from a combination of materials and often last longer compared to natural stones. 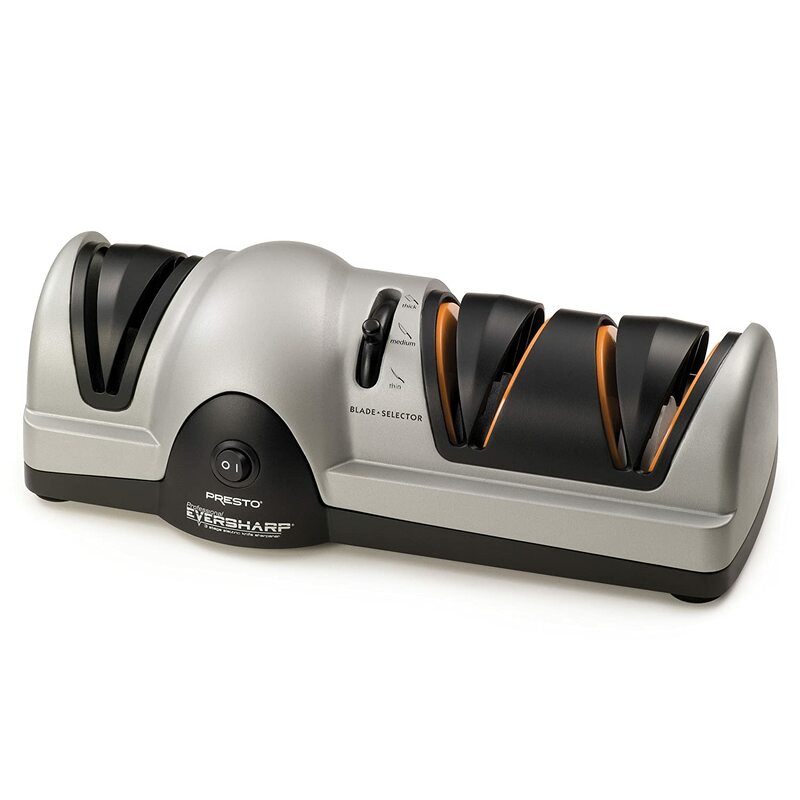 Some of the best electric sharpeners feature artificial diamond abrasives that are bound to wheels for effectiveness. Other materials often used for sharpening include ceramics and steel. 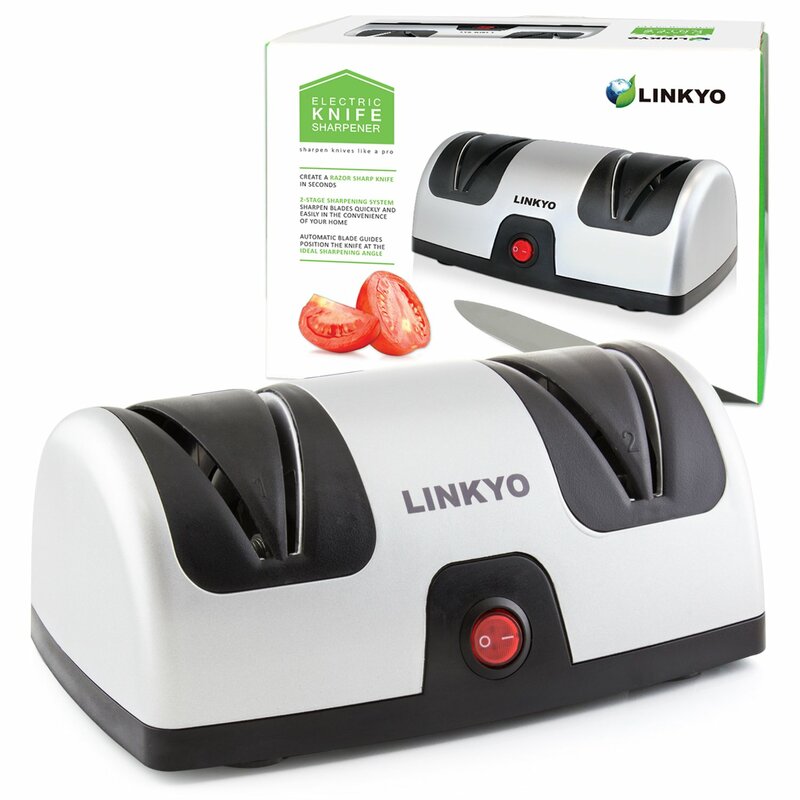 Taking the crown for best electric sharpener is this model from Linkyo that features automatic positioning guides for precise sharpening. This knife sharpener is well built and performs well. It has a two stage sharpening system. The first stage is designed to reshape and sharpen the angle while the second stage is for honing and polishing the blade. It comes with a 3 foot cord and is easy to get used to. There is also a nonslip suction cup that provides added stability. The only concern is that this knife sharpener cannot be used for serrated blades. The Presto 08810 is a three stage knife sharpener that was designed as an upgrade of the 08800. All of the three stages are fine and you certainly love how efficient this sharpener is. It allows for 3-5 times per stage but the blunt knives can use more time on the coarse setting. It is amazing that the Presto 08800 packs so any features into a compact unit. The ability to sharpen a variety of knives including kitchen and sporting knives is the main highlight of this sharpener. However, it's not ideal for serrated knives as it gradually degrades them. Another notable feature is the two-stage sharpening process, which stacks up nicely against more expensive models. The grinding and sharpening occur in stage 1 while stage 2 is responsible for refining. 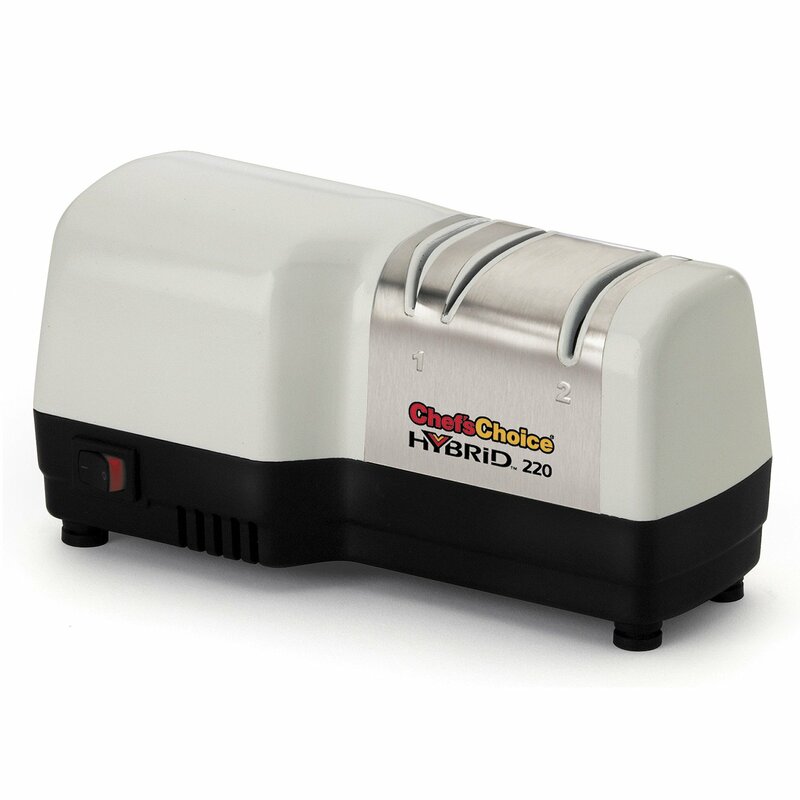 The Chef's Choice 220 Hybrid is very different from other knife sharpeners on the market. It offers 2-stage sharpening so that your knives remain sharp for a long time. The first stage is electrically powered, making it ideal for rough sharpening. The second manual stage is for polishing and making your knife sharper. While they are a hidden device, the diamond abrasive wheels are the most important component as they are responsible for the actual sharpening. They are nearly indestructible and will serve you for a long time to come. All of the other components are made from stainless steel for added durability. 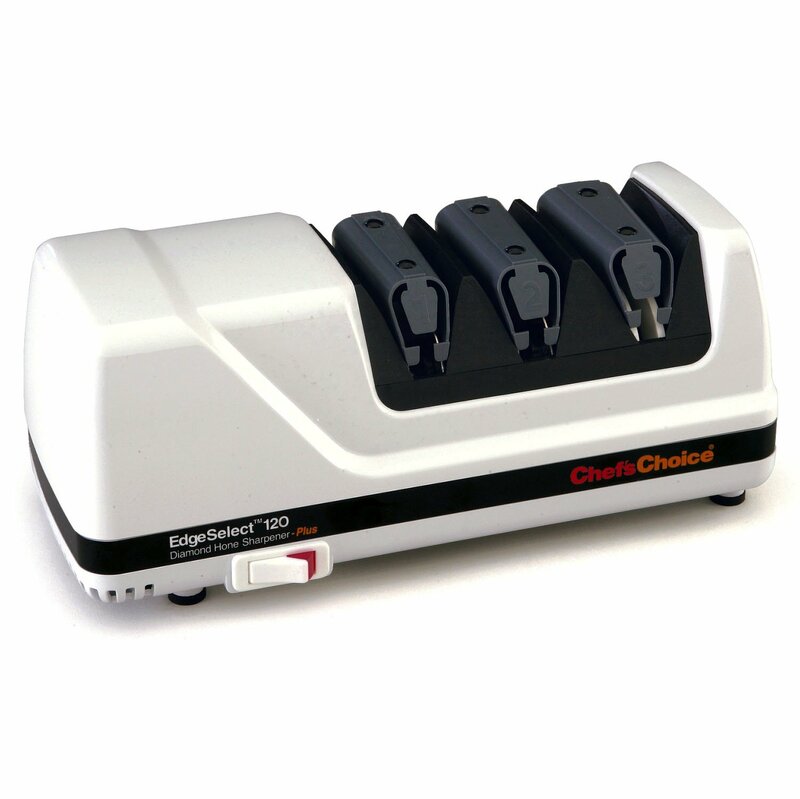 While it's not the cheapest sharpener on the market, the Chef's Choice 130 is a professional grade knife sharpener with many useful features. 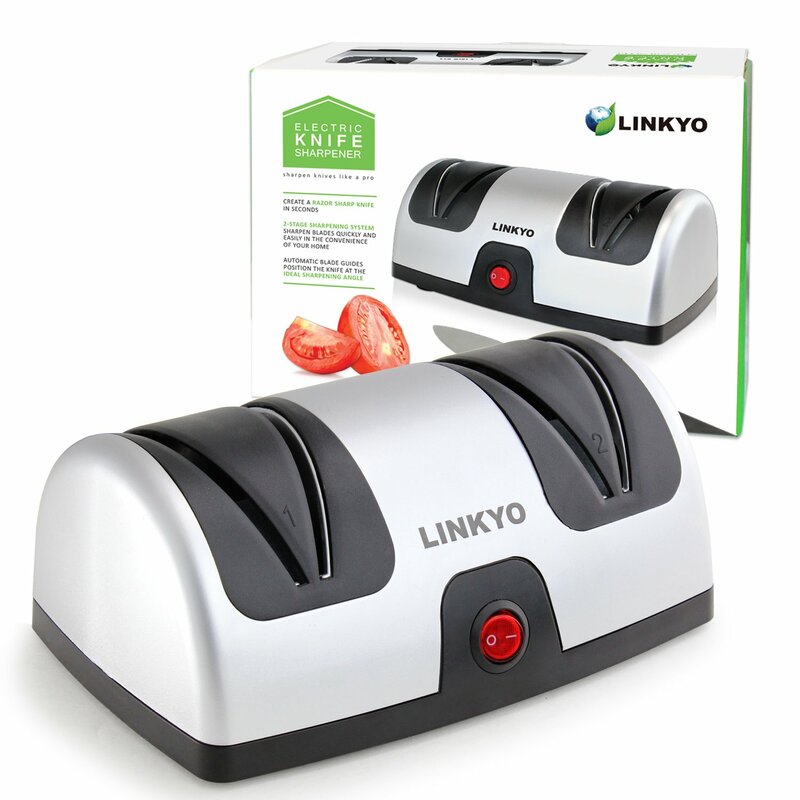 This electric counter model has a 3-stage sharpening system that delivers exceeding performance. The first stage is good for regrinding the edge of the knife without "correct angle" hassles while the second and third are responsible for honing the blades. With our guide on electric knife sharpener s coming to an end, it's important that your choice of a sharpener comes down to what you need. The chosen model should offer functionality without compromising durability and stability. Got a favorite that we haven't mentioned? Let us know in the comment section.